Fight of the Clones: Why Mewtwo for the Super Smash Bros. Series? Despite recent stock shortages in Japan, the first portable version of the Super Smash Bros. Series left many fans disappointed. Gamers worldwide were outraged at the inclusion of seemingly redundant character “clones” —essentially, characters that borrow movesets and movements from an already existing character—such as Lucina, Dark Pit, and Dr. Mario. Both the 3DS version and the yet-to-be released Wii U edition of the Nintendo brawler touts an extra 12 characters to Brawl‘s own roster. While the likes of Ganondorf, Toon Link, and Luigi prove to be repetitive, yet essential additions to a game highlighting the Nintendo canon, Dark Pit and Dr. Mario should’ve been obvious candidates for alternate costumes. In short, I’ve been waiting for this game for 10 years now—specifically, since my 10th birthday when I unwrapped my own smoke gray Nintendo 64, a copy of the original SSB, and Pokemon Yellow. Within hours of playing, I dreamt of a copy of the SSB game I could play anywhere and everywhere. 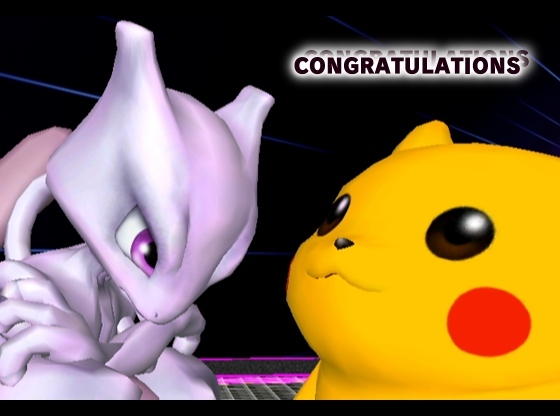 Then Mewtwo was featured in the SSB sequel, Brawl. Needless to say, I was nostalgically ecstatic. Mewtwo has long reigned as one of Pokemon’s most controversial members—both in and outside of Super Smash Bros. When Melee was released to cater to the original’s success, the Smash Back Room (forums of the most popular SSB online forums, SmashBoards), listed Mewtwo as the worst character in the series. The website cited an awkward combination of large stature, light weight, and “floatiness”(“Smash Wiki”). Despite impressive throws and and superior jumping abilities, the notorious villain would only climb 5 more spots on the Smashboards list. True, I am biased. I grew up with the original 151 Pokemon (Yes, Mewtwo was my favorite) and saw the first feature length Pokemon film, Mewtwo Strikes Back, in theaters. This nostalgia, however, seems justified. 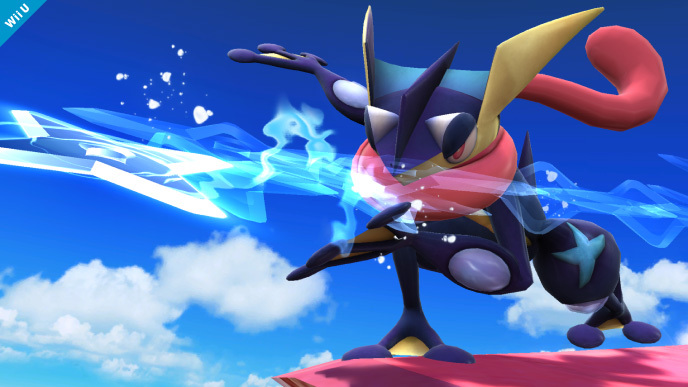 Sakurai’s decision to not only include Charizard (a first-generation veteran) as a playable fighter (sans Brawl’s Pokemon Trainer) but also his Mega-Evolution as a Final Smash, showed the creator’s own willingness at reaching back to the generation that started it all. Why couldn’t Nintendo capitalize on Mewtwo’s two Mega-Evolution’s which single-handedly raised Mewtwo back from the 90’s and into the awareness of a new generation of gamers? You can stream hours of Youtube videos of Melee and Brawl hackers who’ve created a convincing mod of Mega Mewtwo Y (Watch Here!). Why couldn’t Mewtwo—arguably, the more complex and influential of the two— receive the Charizard treatment? 10 years after receiving SSB, I am by-far pleased with Masahiro Sakurai’s newest release. I hardly consider myself the gamer or Pokemon fan I was as a kid; if anything, the release of SSB3DS has reawakened my innate game junkie. Still, the likes of Dark Pit and Dr. Mario are agonizing options for such a landmark release in the SSB. franchise. Meanwhile, other newcomers such as Greninja and the Duck Hunt duo (which seem to have replaced the veteran Ice Climbers—or maybe that was Robin?) are quirky, (even refreshing, perhaps?) nods to Nintendo’s past and present. While many forum lists have debated which Nintendo elites—some veterans, others new SSB possibilities—would’ve been better suited for inclusion in the newest generation of the SSB franchise, I find Pokemon X & Y’s recent unveiling of Mewtwo’s mega-evolutions, and the character’s reputable past in the series as more than sufficient reasons for Mewtwo’s return—in terms of playability and promotion of other concurrent series. Got a better fighter in mind? Leave a comment below!